The Pennsylvania Baseball & Softball Coaches Clinic, presented by the Art of Coaching, takes tremendous pride in the quality of speakers that present to our attendees each year. We conduct extensive research and recruit individuals that come highly recommended as clinicians. We strive to to make our roster of speakers a blend of successful veteran coaches along with some young “rising stars” of the coaching profession. As we celebrate our 33rd annual clinic, we thank all of our loyal attendees and we look forward to providing the coaching community with an excellent event for many years to come. Regardless of division, if you are talking about the best coaches in college softball, you have to bring up Tschida. A member of the National Fastpitch Coaches Association Hall of Fame, Tschida has won three national championships and is the all-time winningest coach in Division III with a 931-176 record. He is one of only five NFCA Hall of Famers with a career win percentage over 80 percent. 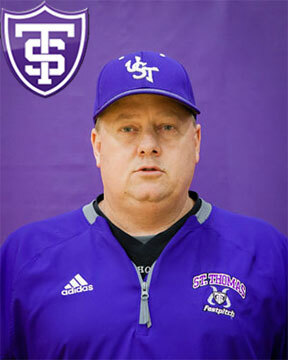 (.842) In 2004 he became the first softball coach to win NCAA championships at two different schools when he led UST to the first of its back-to-back crowns (In 2000 he led his alma mater, St. Mary's, to the title). A two-time National Coach of the Year, Tschida has been named MIAC Coach of the Year 12 of his 24 years. His Tommie teams have won 93 percent of their games against conference opponents while finishing undefeated five times. In 18 years at UST, Tschida's teams have lost 10 or more games in a season only twice. A respected clinician and speaker, Tschida travels the world to promote fastpitch softball and educate fellow coaches. Due to those time commitments, he turned down invitations by two different countries to coach their national teams in the Olympics Games. In the softball world, if you name it, chances are Bruggeman has done it. A longtime Division I coach at Michigan, Purdue and Louisville, Bruggeman also traveled to Australia to serve as head coach of a college team that won a gold medal with USA-Athletes International in 2011. In 2009, she traveled to the Czech Republic to serve in the same role. During her career, she has been a part of over 700 victories and has had a hand in many conference titles and coached numerous NFCA All-Americans. Off the field, Bruggeman served as the color analyst for ESPN, Big Ten and SEC Network broadcasts. She co-produced Level 1 and Level 2 instructional DVDs on softball-specific athlete development and has produced instructional DVDs focusing on baserunning and defense. An active member of the NFCA for 25 years, she served a four-year term as president with stints as both the Past-President and Fourth Vice President on the NFCA’s Board of Directors. She also spent time as the Board’s Division I Representative and Associate Executive Director before ultimately being appointed to her current role in 2016. A veteran on the clinic circuit, 2019 marks the second appearance for Bruggeman at the PA Coaches Clinic. Kunkle begins her 18th year at the helm of the Screaming Eagles after leading USI to its first-ever NCAA Division II National Championship in 2018. Her squad finished 14-1 in the postseason, capturing their first GLVC Tournament title since 1998. In addition, USI claimed their second straight NCAA II Midwest Region title and the university's first-ever team national championship in a women's sport. Kunkle's club finished the 2018 campaign with 41 wins, marking the second straight 40-win season and third in program history while being named the unanimous No. 1 team in the country in the final NFCA Division II Top 25 Coaches' Poll. For their efforts, Kunkle and her assistant coaches were named the NFCA Division II National and Midwest Region Coaching Staff of the Year. USI's all-time winningest coach is also the all-time winningest pitcher at California University (PA). A four-year starter, Kunkle won 54 games from 1990-94. Prothro is preparing for her eighth season as pitching coach at her alma mater after helping guide the Crimson Tide to yet another stellar campaign. Alabama finished the 2018 season ranked in the top 25 for the 19th straight year. The team made its 20th consecutive NCAA Tournament appearance and advanced to the NCAA Super Regional round for an NCAA-record 14th straight year. During her tenure, Alabama made four appearances in the World Series and captured the first national championship in school history. She's been part of an NFCA South Region Coaching Staff of the Year three times and a National Coaching Staff of the Year in 2012 as the Crimson Tide finished the season with an incredible 60-8 record. Prior to her time at Alabama, Prothro served as head coach at Samford and Birmingham Southern College. As a player, she pitched in National Pro Fastpitch (NPF) for the Philadelphia Force after completing an outstanding collegiate career where she was named SEC Pitcher of the Year and was one of ten finalists for the Collegiate Player of the Year. After spending the past decade at Ohio University, Hermanek is preparing for her inaugural campaign at Pitt. She takes over a program that won the ACC Coastal Division title for the first time and reached the ACC Tournament championship game for the second time in four years. Hermanek is no stranger to success as she helped guide Ohio to its second season of 40 or more victories in 2018. For her efforts, she and her staff were named the National Fastpitch Coaching Association East Regional Coaching Staff of the Year. During her tenure at Ohio she claimed two Mid-American Conference (MAC) Tournament championships (2018, 2014), a MAC regular-season championship (2018) and three MAC East Division championships (2018, 2017, 2011). Prior to her time at Ohio, Hermanek spent four years at Southern Utah where she led the team to its first NCAA Tournament appearances, back-to-back in 2006 and 2007. After three seasons at Syracuse under former PA Coaches Clinic speaker Michael Bosch, Goler is preparing for her first year with the Nittany Lions under another former Coaches Clinic presenter, Amanda Lehotak. As the associate head coach with the Orange, Goler served as the infield and hitting coach as well as the recruiting coordinator. Under her guidance, Syracuse set three new single-season team offensive records including batting average (.307), hits (433), and on-base percentage (.388). The Orange also set a new single-season record for fielding percentage (.976). Prior to joining Syracuse, Goler coached at Roosevelt University. As a player. she spent seven seasons in the National Pro Fastpitch where she was named Rookie of the Year in 2011 and was a two-time All-NPF Team honoree. A graduate of Georgia, Goler was a three-time All-American, four-time first-team All-Southeast Region selection and a three-time first-team All-SEC honoree..
Cavalea spent 12 years with the New York Yankees organization, serving primarily in the role of Director of Strength and Conditioning & Performance Enhancement. In 2009, the Bronx Bombers won the World Series and Cavelea was honored as the recipient of the MLB Nolan Ryan Award, given to MLB's top strength coach as voted by his peers. During his career, Cavalea had the opportunity to train several elite superstar's including Alex Rodriguez, Derek Jeter, Mariano Rivera, Andy Pettitte, Justin Verlander and many more. Cavalea currently works as a performance speaker and consultant to pro athletes, entrepreneurs, business executives, workforces and universities on lifestyle strategies to reduce stress, improve work/life balance, and, most importantly, improve daily performance/outcomes. Cavalea has formulated plans and strategies to improve sleep, reduce pain, lower stress, improve body composition, improve speed, strength and power and maximize performance through mental training. Visit danacavalea.com to learn more. Brian Cain Peak Performance is widely regarded as the nation’s foremost authority on peak mental performance. The company has produced over 800 draft picks (MLB, NBA, NHL, NFL), over 50 NCAA championship teams, 8 UFC champs and hundreds of high school state champions. Sorensen has worked with Brian Cain Peak Performance since 2014 as a Mental Conditioning Coach specializing in the application of The 12 Pillars of Peak Performance for baseball. He currently works in the Texas Rangers Peak Performance Department helping professional athletes create an elite mindset through the mental game. A highly sought after speaker and coach, Sorensen will emphasize how to compete one pitch at a time and how to give athletes the best chance for success. Sorensen was an All-American and Academic All-American at Wichita State and was a 2nd round pick of the Cleveland Indians in the 1998 MLB Draft. He made his MLB Debut with the Indians on June 3, 2003 and went on to play for both the Indians and the Anaheim Angels.